Classic Catalan cuisine at its best: a masterful lesson from the old school in how to put hospitality at the heart of the dining experience. ‘Classic’ is a much-overused word in restaurant reviewing but if anywhere in Barcelona merits the description then it is surely the Raval restaurant of Isidre Gironés, Montserrat Salvó and their family. 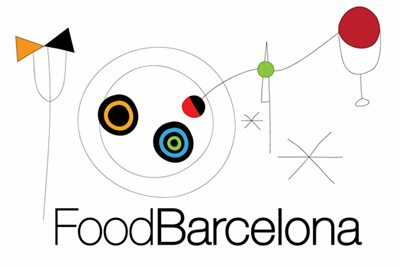 Located just off Avinguda Paral.lel, it has hosted everyone from Spain’s King Juan Carlos to Catalan’s king of modern cuisine Ferran Adrià since it opened in 1970. Current media sensation and multi-starred chef Jordi Cruz has worked in the kitchen here and American culinary legend Thomas Keller adores the place. It has, in short, a solid reputation. So what is the secret of Ca l’Isidre’s lasting success? It’s not its location, in an economically up-and-down part of the old town far from the fat wallets of the Eixample. And it certainly isn’t because of its culinary trendiness or flashy facade. The first clue can be found when you enter the elegant but understated dining room, which looks like a thousand others across the country apart from the valuable artwork adorning the walls. You will be greeted by someone who is attentive, well-trained and confidently competent. A dim lightbulb of recognition will flicker in your memory as you realize that you are experiencing superb service, that endangered and now rarely spotted animal. Ca l’Isidre is a restaurant I’ve been to a number of times over the decades and one I always look forward to returning to. I once ate a dish of shelled peas in ibérico fat here that was so fresh, so good and so simple that I almost wept. It’s not an inexpensive place, but the prices are in line with the quality of the ingredients and generosity of their use. Starters are in the €16-€22 range and main courses around €20-€35. There is a superb mid-week lunch menu, which offers three courses plus water, bread, embotits (cured sausages) and coffee for €40. Many of the dishes in the photos below are half-portions as I wanted to try a wide variety. Isidre still personally buys the produce for the restaurant from the nearby Boqueria market, as he has done every day for over 45 years. He no longer cooks, having handed the keys to the kitchen to his daughter Núria. But he is, along with Montserrat, still very much present in the restaurant. In charge of front of house, under their watchful gaze, is Pep Millán who works with an easy amiability. Pep brought out a suggestion for my first course, a late-September bonanza of wild mushrooms. It wasn’t hard to persuade me to say yes. While they were being prepared, I munched on outstanding pa amb tomàquet and unbeatable embotits. Well-informed tourists – including visiting chefs – come here but most clients are locals. Many of the regulars are business people, restaurateurs and politicians but I have always found young people eating here too. That said, I expected it to be a hipster-free zone but no: a bearded young man with improbably high hair and a girl in thick-rimmed glasses were getting stuck into some traditional dishes in the corner. At least he was wearing a shirt, albeit a plaid one. The mushrooms arrived, served two ways: sautéed with botifarra sausage to get a crisp golden edge, tender and oily, kissed with thyme and rosemary. And in an induldently rich sauce, the details of which I did not write down. Why not? Because I was joined at the table by Isidre at this point. Sixty years in the restaurant business is a long time by anyone’s standards and Isidre has vast accumulated experience and depth of knowledge. If you get the chance to talk about food with someone like that then you take it, and notetaking be damned. Callos (tripe), in a profoundly satisfying tomato and onion sauce, rivalling those of Freixa Tradició as the best I’ve ever had. Succulent, multitextural and moreish, mopped up with great bread. It should be noted that I selected a lot of rustic dishes. Not everything at Ca l’Isidre is a heavy blast from the past; if you want lighter, more delicate dishes constructed along more modern lines then you’ll find them. But not in this post: I was in an old-school mood. Then a mini-portion of the star dish, one I can never resist. A coulant, made with some of the world’s best Venezuelan cocoa, that will bring chocolate fans to their knees. A perfect crisp shell around the molten chocolate core, served alongside cold vanilla ice cream and a glass of PX. Take me now, I’ll die happy. Joined also now by Montserrat, we kept taking over the petits fours and coffee. So what is the secret of such longevity? What is the difference between a flash in the pan and a flame that burns for over forty years? Ca l’Isidre sets high standards and everyone who works there is proud of keeping them. And it shows. The food is ingredient-led and unfussy, but exactingly sourced and prepared with skill and love. It’s bold, robust Catalan-Spanish cuisine with a dash of French savoir faire– the sort of cooking that absolutely anyone would enjoy – but the real, beating heart of the restaurant is hospitality. Isidre and Montserrat know the value of a warm welcome and first-class customer service. The younger employees are pulled swiftly along the learning curve by the magnetic presence of the experienced owners and senior staff. The machine is well-oiled by practice but it is fuelled by the passion of its owners, an enthusiasm that has been passed on to those around them. Can Núria and the current team keep Ca l’Isidre going for another forty years? I certainly hope so. For classic Catalan dishes at their very best, Ca L’Isidre remains an outstanding choice. Find Ca l’Isidre on the FoodBarcelona restaurant map.